The Pennsylvania Baseball & Softball Coaches Clinic, presented by the Art of Coaching, takes tremendous pride in the quality of speakers that present to our attendees each year. We conduct extensive research and recruit individuals that come highly recommended as clinicians. We strive to to make our roster of speakers a blend of successful veteran coaches along with some young “rising stars” of the coaching profession. As we celebrate our 33rd annual clinic, we thank all of our loyal attendees and we look forward to providing the coaching community with an excellent clinic for many years to come. Perry pitched 22 seasons in the major leagues with the Giants, Indians, Rangers, Padres, Yankees, Mariners, Braves and Royals. The five-time All Star compiled 314 wins with 3,534 strikeouts and am impressive 33 shutouts. His impressive career statistics and performance earned him an induction into the Baseball Hall of Fame in 1991. His number 36 was retired by the Giants in 2005. He is one of only 24 pitchers to win 300 games (17th all-time) and one of only 16 pitchers to record at least 3000 strikeouts (8th all time.) He was the first pitcher to win the Cy Young Award in each league: 1972 with the Indians and 1978 with the Padres. He won 15 or more games for 13 consecutive seasons from 1966-78. Since 1900, only Greg Maddux (17) had a longer streak. He is also distinguished, along with his brother Jim, for being part of the second-winningest brother combination in baseball history—second only to the knuckleballing Niekro brothers, Phil and Joe. Perry had a reputation throughout his career for doctoring baseballs. (He claims he was taught the spitball in 1964 by pitcher Bob Shaw.) He used his reputation to psyche out the hitters as well. As he looked in to his catcher for the pitch selection, Perry would touch various parts of his head, such as his eyebrows and his cap. In this manner, he may or may not have been applying a foreign substance to the ball on any particular pitch. Despite his notoriety for doctoring baseballs and perhaps even more so for making batters think he was throwing them on a regular basis – he even went so far as to title his 1974 autobiography Me and the Spitter – he was not ejected for the illegal practice until August 23, 1982, in his 21st season in the majors. A seven-time all-star that racked up 2,743 career hits, Oliver was a vital piece of the powerful "Lumber Company" offense of the 1970's Pittsburgh Pirates. During Oliver's ten seasons with the club, the Bucs won five NL East division titles (70', 71', 72', 74', 75') and a World Series crown (71'). From 1968-1985, Oliver, a lifetime .303 hitter, collected more hits than all but two MLB players (Pete Rose and Rod Carew - both Hall of Famers). In the same span, he had more doubles (529) than all but one (Rose). In a 15-year stretch, beginning in 1972, Oliver batted below .300 just three times. He completed that impressive stretch in 1982 with a league-leading .331 mark. Defensively, Oliver played all outfield positions as well as first base. He was in the starting unit for what is believed to be the first all-black lineup in the history of the league during the historic 1971 season. Forced to retire following the 1985 campaign due to collusion among MLB owners, the 1982 National League batting champion and winner of three Silver Slugger awards launched a career as a keynote speaker. Oliver specializes in delivering motivational speeches designed to inspire teams to reach new levels of communication and results. Through both his speaking and his organization, Al Oliver Enterprises, Inc., he strives to spread his message of swinging hard to accomplish your dreams, even when life pitches you curveballs. Learn more about Al Oliver on his personal website, al-oliver.com. Entering his 16th season with Virginia and 12th as associate head coach, McMullan is highly regarded as one of the best recruiters and developers of players in the country. Twice voted as the top assistant coach in the NCAA (2012, 2017) in Baseball America's annual coaches poll, McMullan serves as Virginia’s recruiting coordinator and hitting coach and works defensively with the Cavaliers’ infielders and catchers. Since his arrival in 2004, Virginia owns the highest fielding percentage in the ACC (.974) and has averaged over 45 wins per season. Under McMullan's leadership, Virginia has led the ACC in batting over the last nine years combined (.306 average.) McMullan and Virginia reached the pinnacle of college baseball in 2015 as the Cavaliers earned their first NCAA national championship. Prior to joining the Virginia staff, McMullan spent time with the Atlanta Braves, East Carolina University, St. John's University and Indiana University of Pennsylvania. The 2009 National Assistant Coach of the Year, McMullan last spoke at the PA Coaches Clinic in 2010. Bell was hired by Pitt in July of 2018, becoming the fifth head coach in program history. With 14 years of Division I coaching experience, he joins Pitt after a seven-year stint as the associate head coach and pitching coach at ACC powerhouse Florida State. While working under the legendary Mike Martin at FSU, Bell helped lead the Seminoles to a 314-136-0 record, reaching the Super Regionals on three occasions and advancing to the College World Series twice. Florida State captured three ACC titles in Bell's time in Tallahassee, taking home conference tournament titles in 2015, 2017 and 2018. Bell has coached nearly 50 MLB draft picks during his impressive career, which includes stops at Tennessee and Oklahoma. A standout left-handed pitcher at FSU, Bell was selected in the 20th round of the 1995 draft by the Montreal Expos and spent six years in the minors before joining the coaching ranks in 2002. Brian Cain Peak Performance is widely regarded as the nation’s foremost authority on peak mental performance. The company has produced over 800 draft picks (MLB, NBA, NHL, NFL), over 50 NCAA championship teams, 8 UFC champions and hundreds of high school state winners. Sorensen has worked with Brian Cain Peak Performance since 2014 as a Mental Conditioning Coach specializing in the application of The 12 Pillars of Peak Performance for baseball. 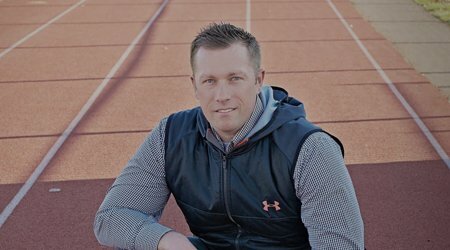 He currently works in the Texas Rangers Peak Performance Department helping professional athletes create an elite mindset through the mental game. A highly sought after speaker and coach, Sorensen will emphasize how to compete one pitch at a time and how to give athletes the best chance for success. Sorensen was an All-American and Academic All-American at Wichita State and was a 2nd round pick of the Cleveland Indians in the 1998 MLB Draft. He made his MLB Debut with the Indians on June 3, 2003 and went on to play for both the Indians and the Anaheim Angels. Kruzel became the ninth manager in State College Spikes history in January 2017 and is in his third season with the Cardinal's affiliate club. Kruzel arrived in State College after spending the previous three seasons as the skipper for the Single-A Peoria Chiefs, where he became the winningest manager in club history. He guided the Chiefs to the Midwest League playoffs in each of his last two seasons and while guiding the club to a first-half division title in 2016. Kruzel also managed the Rookie-level Johnson City Cardinals in 2013. He joined the professional ranks in 2006 after coaching at the University of Toledo for nearly two decades, the last 11 seasons as head coach. Kruzel captured a Mid-American Conference Coach of the Year Award at his alma mater and currently ranks second on the university's all-time wins list. Cavalea spent 12 years with the New York Yankees organization, serving primarily in the role of Director of Strength and Conditioning & Performance Enhancement. In 2009, the Bronx Bombers won the World Series and Cavelea was honored as the recipient of the MLB Nolan Ryan Award. This award is given to MLB's top strength coach as voted by his peers. During his career, Cavalea had the opportunity to train greats such as Alex Rodriguez, Derek Jeter, Mariano Rivera, Andy Pettitte, Justin Verlander and many more. Currently he is a high performance speaker and consultant to pro athletes, entrepreneurs, business executives, workforces and universities on lifestyle strategies to reduce stress, improve work/life balance, and most importantly improve daily performance/outcomes. Cavalea has formulated plans and strategies to improve sleep, reduce pain, lower stress, improve body composition, improve speed, strength and power, and maximize performance through mental training. Visit danacavalea.com to learn more. With 21 seasons and 576 victories to his credit, Griffin is a veteran in the coaching community that prides himself in sharing knowledge with others to help them improve their programs. Highly sought after and very engaging as a clinician, Griffin has presented at dozens of conventions across the nation including the ABCA (2007, 2012) and the PA Coaches Clinic (2012). The author of an instructional video on catching titled "Catch it, Block it, Throw it," he has coached 20 players who have gone on to play professional baseball, including current Chicago Cubs nine-year veteran reliever Steve Cishek. Prior to his arrival at Carson-Newman, Griffin was the head coach at Tusculum College where he recorded nearly 200 wins. In his playing days, Griffin was a four-year starting catcher for the Tennessee Wesleyan Bulldogs, where he was team MVP his junior and senior seasons. He was inducted into the Tennessee Wesleyan Sports Hall of Fame in 2012. In 2012, Prachniak took over a West Chester club that was barely above .500 and did not make the playoffs. He remarkably molded that group into an NCAA Division II national champion in his first season as skipper. The national title was the first baseball championship in school history and the first by any school located in the Commonwealth of Pennsylvania at any level of the NCAA. Prachniak's inaugural campaign was no fluke. In his seven seasons at the helm he has guided the Golden Rams to an impressive overall record of 236-109-1 (0.684). In 2017, at 35 years old, Prachniak became the youngest coach in Division II history to win two national titles when he led his squad to the crown with a 5-2 victory over UC San Diego. Prior to his time at West Chester, Prachniak served as the pitching coach and recruiting coordinator for six seasons at William & Mary. A professional hitting instructor for over 20 years, Lisle has become an internet sensation with well over 130,000 Twitter followers. With a philosophy centered around teaching and sharing, Lisle launched The Hitting Vault to help players at all levels of baseball and softball unlock their power. Lisle currently works with numerous MLB and NCAA players. Lisle is preparing for his first season with Missouri after coaching stints at Menlo College, Santa Clara University, Cal State University - East Bay, the University of Oregon and South Carolina. A firm believer that no difference exists between the mechanics of an elite baseball swing and an elite softball swing, Lisle's previous coaching stints were successful on both the baseball and softball fields. Last year, he helped a Gamecock's softball team that was predicted to finish 12th in a loaded SEC finish in third place. South Carolina's lineup led the SEC with a school record 65 homers while also leading the league in slugging, doubles, total bases and hit by pitch. Lisle and the rest of the staff were rewarded with the NFCA Southeast Region Coaching Staff of the Year honors.